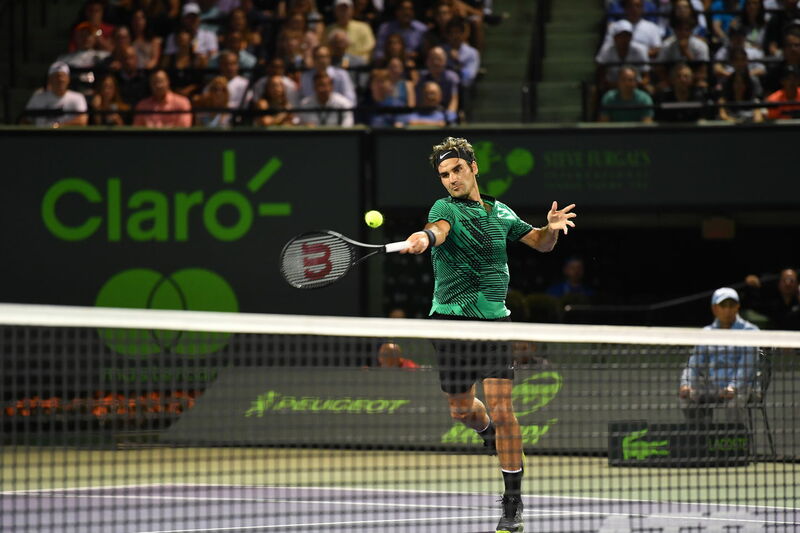 Roger Federer and Nick Kyrgios may have opposite temperaments and playing styles, but they came together to put on one of the finest matches of the year on Friday at the Miami Open. Federer saved set points, Kyrgios saved match points, but it was the fourth seed who ultimately came out on top over Kyrgios in their semi-final clash 7-6 (9), 6-7 (9), 7-6 (5). The Swiss star moves on to play Rafael Nadal, a winner earlier in the day over Fabio Fognini, in Sunday's final. It will be their 37th meeting and the 23rd time they've met in a final. The Miami final will mark the third time they've played this season. 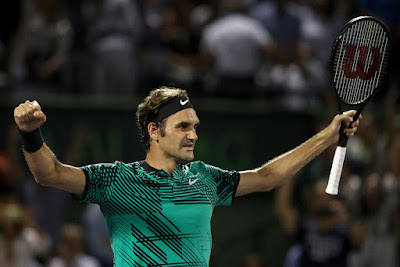 Federer has won both of their earlier meetings - the Australian Open final in January and their fourth round match at the BNP Paribas Open in Indian Wells last month. “I feel like there is a mountain to climb in Rafa. He hasn’t won this event before. He's definitely feeling fresher than I feel right now. But that's not a problem. I'll be ready on Sunday,” said Federer. Sunday's final will also be the fourth time Federer and Nadal have met at the ATP World Tour Masters 1000 tournament in South Florida. Nadal won their first meeting, which started their rivalry, 6-3, 6-3 in 2004. Federer beat him in the Miami final the next year, coming back from two sets down to win 2-6, 6-7, 7-6, 6-3, 6-1. In 2011, Nadal returned the favour, knocking Federer out in the Miami semi-finals, 6-3, 6-2. “Should be really exciting because we had this epic match in 2005. The final was unbelievable. It was a turning point in my career, to be quite honest. For me to be able to focus for, I don't know how long we played, maybe four hours, smashing forehand after forehand down the line. I remember I felt like I had to learn how to fight in matches, and there I showed it to myself and my team that I could do it,” Federer said. Federer and Kyrgios have played six consecutive tie-breaks in their two ATP Head to Head meetings, with the rivalry now tied at 1-1. This is the seventh time (5-2) that Federer has played all tie-breaks in best-of-three set matches in his career. This was also the third time that Federer has won back-to-back third set tie-breaks in the same tournament (2005 Dubai, 2001 Rome). A standing-room only crowd came out to watch two of the most exciting players on the ATP World Tour in Federer and Kyrgios do battle, and they weren’t shy about letting their feelings be known. Whether it was giving a standing ovation for a between-the-legs winner from Kyrgios or chanting Roger’s name, their enthusiasm prompted the umpire to call for quiet on multiple occasions during the match. Kyrgios appeared frustrated early on by Federer’s brilliant hitting and displayed huge bursts of emotion on multiple occasions, but remained calm when it mattered most, saving set point at 5-6 with an ace and two more in the tie-break at 5/6 and 6/7 with some big hitting. 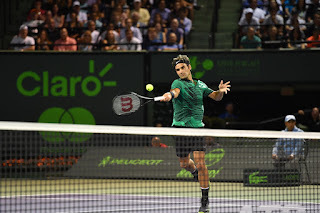 Federer also showed off his trademark steely nerves in the tie-break, saving a set point at 7/8 and again at 8/9 with a backhand winner down the line. However, the Aussie’s penchant for going for broke at crucial moments of the match may have cost him the opening set. He rolled the dice on a big second serve at 9/9 and missed badly, handing Federer a third set point opportunity. The Swiss star made good on his chance, wrapping up the set as Kyrgios sent a backhand into the doubles alley. Even while Federer and Kyrgios traded routine service holds in the second and third sets, there were still plenty of flashy moments from both players, including Kyrgios charging the net off Federer's serve on a few occasions. There was even a between-the-legs winner from the Aussie in the second set. The drama remained at maximum levels in the second-set tie-break, with a slice backhand from Federer on match point at 6/5 floating just long as Kyrgios could only stand at the net and watch. On his second match point at 8/7, Federer dumped an 88 mph second serve into the bottom of the net as the crowd groaned in unison. Kyrgios wouldn’t allow Federer another opportunity, firing an ace at 10/9 and looking to his box in celebration at leveling the match. More comfortable service holds in the third set fittingly resulted in a sixth straight tie-break for Federer and Kyrgios, with the crowd on their feet to applaud the efforts of both players. Their previous ATP Head to Head meeting in Madrid in 2015 also produced a similar scoreline, with Kyrgios saving two match points to take a 6-7 (2), 7-6 (5), 7-6 (12) victory. However, Kyrgios didn’t learn his lesson from the first set of the Miami brawl with Federer, gambling with a 128 mph second serve at 5/5 and ultimately hitting a double fault for his most costly shot of the night. Kyrgios’ risk proved to be Federer’s reward, with the fourth seed hitting a big first serve to wrap up the match in three hours and 10 minutes.